Under the supervision of the County Judge, the solid waste department maintains a class 4 landfill. The county also provides for county-wide residential curbside trash pick-up through a contract with Waste Corporation of America (WCA). This is provided by a dedicated 1 cent sales tax that the citizens passed in March of 1992. New at the landfill is a wood combustor facility owned and operated by the county where wood waste is burned in an incinerator. Under the county-wide contract, the county provides once-a-week pick-up for residential waste, recyclables and yard waste. Bulk items must be called in to the contractor to schedule a pick-up. Contact the Columbia County Landfill for your trash and/or recycle can repairs. These items may be placed in the recycle container. Beverage cans, all vegetable cans, cat and dog food cans, coffee cans. Corrugated cardboard, food boxes, brown paper bags, feed sacks. Newspapers, copy paper, magazines, phone books, hardback and paperback books. Basically drinking bottles, laundry bottles, milk jugs and such. These items may be carried to Abilities Unlimited at 223 West University Street in Magnolia. Televisions, computer monitors, CPUs, laptops. 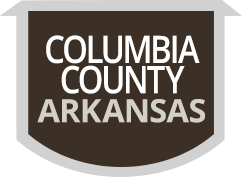 Columbia County Landfill is located at 41 Columbia 246.